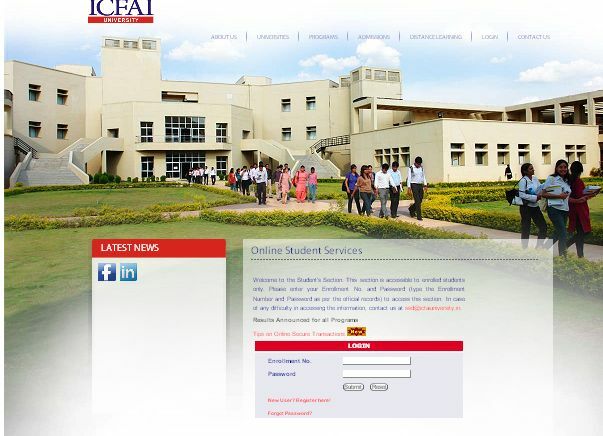 Please give me the details for the ICFAI University Exam Registration? You have to go on this website. Then you have to click on the Login section. Then you have o move on the login page. You have to click on the New User? Register here. Then you have to move on this page. This page image is look like this. You have to enter the ENROLMENT NUMBER & select the PROGRAM NAME then click on the submit button. Then you have to login the page. The login page image is look like this.